Financial mistakes, we’ve made a few. Hopefully not this many. These are 22 mistakes people make with their finances. We all know the big ones, not having a budget, not investing, running up credit card debt. If you’ve avoided or overcome those, well done! But you might not be out of the weeds yet. There is a whole host of mistakes people make with their finances. Here are some you might not be on the lookout for. I did this for years. Whatever money was left over at the end of the month is the money I saved. Sometimes there was money there, but more often, there wasn’t. It takes discipline not to spend money. But not to spend what you never see. Have a portion of your salary auto-deposited into your investment account, or, at least, a savings account, so that it’s out of site, out of mind, and out of your hands. It’s not enough to just make a payment every month, especially just a minimum payment. If you have debt, you need a plan to tackle it. You can use the stack or snowball method. Stacking makes more sense mathematically, but if you need the emotional win of killing a small debt completely, even if it’s not the highest interest one, that’s fair enough. If you need a little cheerleading and guidance, Ready For Zero can provide it. All sorts of neat charts and graphs too which are gratifying to see when those numbers keep getting smaller. Having a plan also gives you an end date, and it’s motivating to count down the months, weeks, and eventually days until you’re debt free. Having a good credit score can save you thousands of dollars in interest over your life. The better your score, the better the rate of interest you’re offered when you borrow money for things like cars, homes, and personal loans. 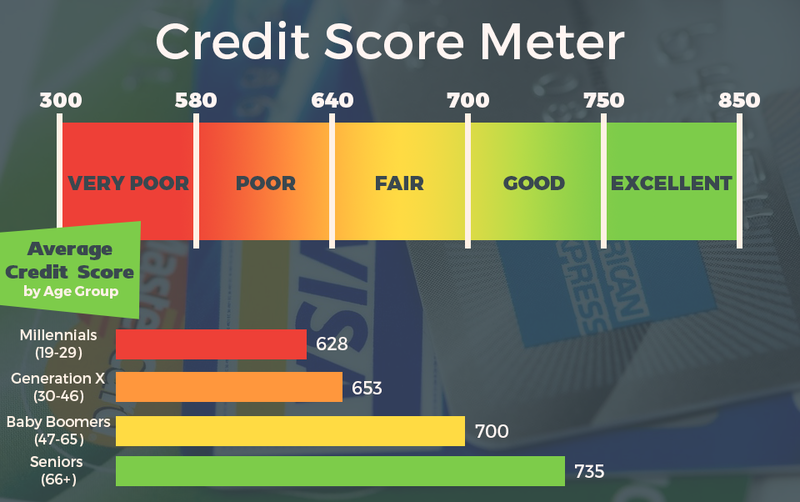 You can easily see your credit score at Credit Karma. You can get a full credit report for free here. Never pay for your report. You are entitled to one free report every twelve months from each of the three major reporting agencies. Because the reports can differ due to errors, it’s a good idea to order all three. Space them out, one every four months. That way you’ll never have to wait the full twelve months between reports, and you can more closely monitor your report. 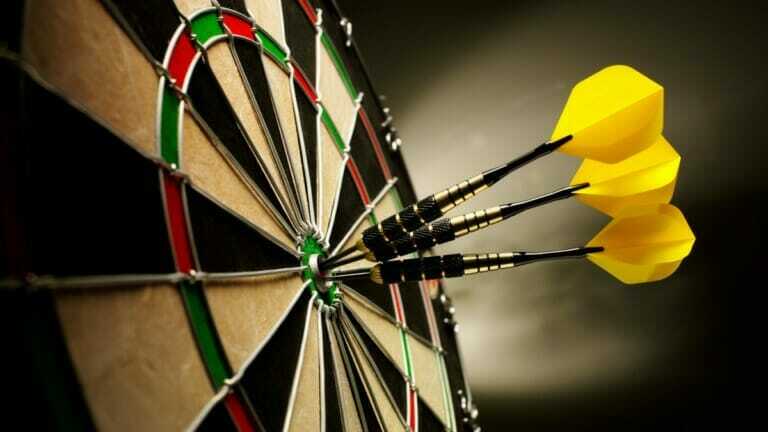 If your score is not what you would like it to be, there are plenty of ways to improve it. It’s important always to have a good score. Landlords may check it when you rent an apartment, and some employers will check it too. But if you’re chasing the near-mythical 850, relax! Unless you are in the market for a big purchase like a car or a home, you don’t need to worry too much about your score. And if you are in the market for a loan, anything above 760 will be enough to get you the best rates. Your landlord checked your score, it was excellent, and you got the apartment! And you assume that the owner of the property has insurance, so you don’t need it. Wrong! The owner’s policy will cover damage to the structure but not to your belongings. You might not think you own much worth ensuring; you don’t own many tiaras or priceless works of art you plebe! Even without those things, the average renter has about $20,000 in personal property. If all you have is your college futon and a collection of plastic cutlery from take-out places, there are still good reasons to have renter’s insurance. What if one of your friends gets drunk and cracks open his head on your bathroom floor? Think he won’t sue you? You can never be sure. Renter’s insurance gives you liability coverage if someone gets injured in your home. Do you travel with fancy electronics, a laptop, a camera? If those things are stolen while you’re away from home, renter’s insurance will cover them. The coverage is not very expensive either, about $12 a month for $30,000 of property coverage and $100,000 in liability coverage. You almost never have to pay full price for anything. There are just too many ways to avoid doing so. You can buy clothes and small appliances at thrift shops. You can get free furniture on Craig’s List. You can get restaurant discounts at Restaurant.com. You can buy refurbished electronics on Amazon. You can find a wine store that gives discounts when you purchase a case, sometimes as much as 30%. You can find coupons and coupon codes for hundreds of stores at Coupon Sherpa. Spend five minutes googling for discounts on whatever it is you want to buy, and you will almost certainly find something. I don’t mean you don’t ask to borrow money. Lending money is later on this list as a mistake. Whatever problem you’re having, credit card debt, you don’t know how to make a budget, you bought a new car, and now you can’t afford it, I guarantee at least one person you know has had the same problem. And if no one has, (they’re lying) Google is kind to those in need. I understand that money is a taboo subject and there is a lot of shame when you’re struggling. There is so much help out there! LMM started a whole Community based on this, people needing help and people wanting to provide it. The problem is so much worse when it’s trapped in your head. Tell someone and let them help you. Money should never be the only consideration when making a decision. It’s up there, but it shouldn’t be alone. Some things are more valuable. Yes, if you take the $100,000, eighty hours a week job, you will have money. You may also have no sleep, no exercise, no social life, no any kind of life. Sometimes perks are more important than salary when weighing job offers. Good health coverage, a good 401k, family leave, the ability to work from home sometimes. Those things matter too and may even keep more money in your pocket. If you take the higher salary but have to splash out a high deductible before your coverage kicks in, the 401k has high fees, and you spend two hours a day commuting, the greater number on the offer sheet can dwindle pretty quickly. The raise fairy doesn’t flit around the office just handing them out you know. If she does, it might just be the crummy 2% raise everyone gets which doesn’t even cover inflation. No, you need a big increase, so you’re going to have to ask for it. Even if you ask for a raise and get a nice one, it’s likely to be nowhere near the bump you could get if you switched companies. And you should probably be doing it often, every two years in fact. People who stay in a job longer than two years will earn an average of 50% less over the life of their careers than the job jumpers. If you’re happy in your job, it doesn’t hurt to see what else is out there and how much you could get. If nothing else, it gives you some negotiating power when you ask for a raise. This one applies to lots of things, going to college, getting married, buying a house, having a kid. Those can all be wonderful things, but they’re not for everyone. Why are you going to do those things? Because you’re “supposed to?” According to whom? Society, your friends, your parents? None of those are a good reason to make major life decisions. If you do something, do it because you want to do it and because it’s a good decision. For you. This is another one where the non-monetary benefits can outweigh the monetary negatives. If you have a family, putting down roots is important. If you have kids, buying a home in a good school district can make sense. But as mentioned above, it shouldn’t be something you do just to check off another box on the “Stuff Grown Ups Do” list. Remember when we talked about making better money through changing jobs? Well, the better job might not be in the same town, state, or even country you live in now. 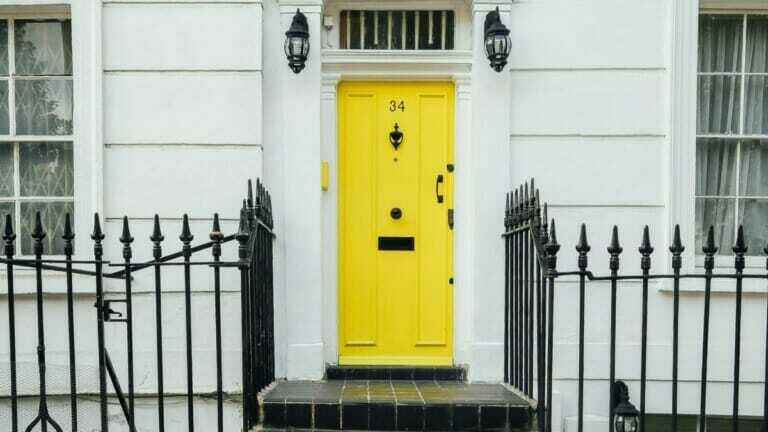 Having a house ties you down to a place in a way renting doesn’t. Owning a home, at least, to live in yourself, may not be the best financial choice. If you want to own a home, consider buying one to use as rental income. This is so backward. Since 1973, the size of the average house has increased by more than 1000 square feet from 1660 to 2679 while the average number of occupants has decreased from 3.01 to 2.54. More room for fewer people! And the more room you have, the more crap you will buy to fill it up, compounding the problem. Just because you’re approved for a $250,000 mortgage doesn’t mean you have to spend that much. If you decide to join the Quiverfull movement down the road, you can always upgrade to a bigger place. I’ll tell you. 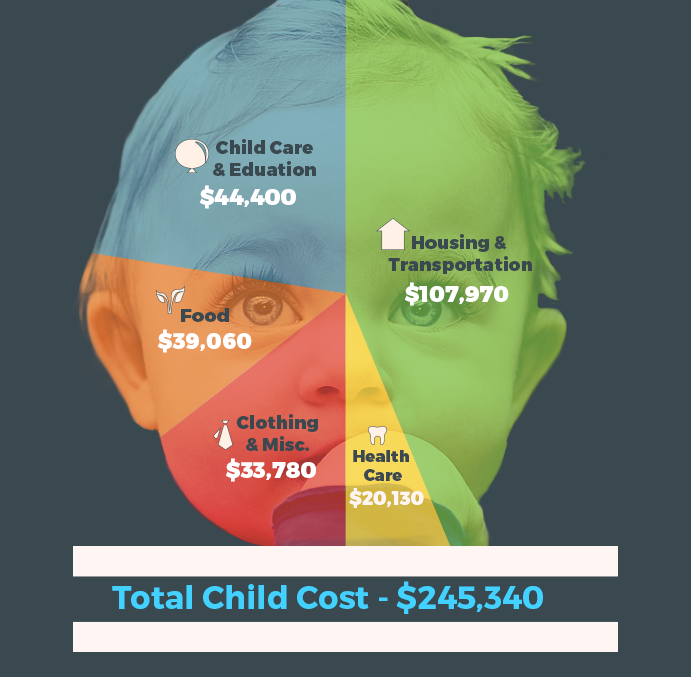 It costs $245,340 to raise a child to age eighteen, so that isn’t including the cost of college. Of course, that’s over the course of eighteen years, and no one makes you leave a deposit to have a baby. And babies and kids don’t need all the stuff that some people buy. Brand new clothes that will fit only in a few weeks, you can buy used ones. All sorts of fancy toys, little kids can devise their toys and entertainment. What I think a lot of people don’t consider is the cost of daycare. One of our contributors wrote an article on this aspect of the cost of having a child. The daycares he found ranged from $900-$2320 a month. This is something to seriously consider. You might assume that you will have more money if both parents return to work after a baby, but that might not be the case. Well, you’re going to have to because schools mostly don’t. And you need to start young, around the age of three because, by the time the kids are seven, their ideas and habits surrounding money are largely in place. If you instill good money habits in your kids, you can set them up for a lifetime of success and save them so much stress and heartache. We’ve all said to ourselves, “If I knew then what I know now…” You can make sure your kids don’t ever have to say that futile phrase, at least, when it comes to money. This one is so hard. Hopefully, anyone in your life so bold to ask for money is someone you love and not some random in-law you only see at holidays. You can tell those people to piss off; it’s harder when it’s someone you care about. But it’s such a bad idea, for the same reasons cosigning a loan is a bad idea. If you don’t get paid back, it might be the end of the relationship. Even if you write it off as a loss and don’t hold a grudge, the borrower may avoid you out of shame and awkwardness. This doesn’t mean you can’t help, though. Perhaps they have exhausted every other option before coming to you, but probably not. Maybe they can get a loan from Lending Club. Maybe you can help them figure out a side hustle. Maybe they have money coming in but don’t budget so don’t realize how many relatively painless cuts they could make to keep some cash. If every option has been explored and you are their last hope, you have a decision to make. Good luck. There are good reasons to do this but not many. In fact, I couldn’t find one that I thought was a good enough reason to convince me to do it so I’m not going to tell you that you should. I’m always looking out for you. Plenty of good reasons not to do it, though. If the person is late or misses a payment, your credit score can take a ding. If they default, you’re on the hook. If either of those things happens, it will likely destroy your relationship with the person you cosigned for. Not worth it. I know you want to help your children get an education and there are ways you can do that, help them apply for grants and scholarships, start a 529 plan talk to them about various options like attending a community college for the first two years. What you should not do is raid your retirement accounts to pay for it. Your kids have a lot longer to work and pay back college loans if they have to take them out than you have to work to fund your retirement. They will not thank you if you have to move in with them because you can no longer work but don’t have enough money to live on. You’re probably diligent about making sure you don’t pay things like ATM fees, late fees on bills and credit cards, and checking account fees. That’s great; you should avoid fees when you can. But those fees are nickels and dimes compared to where you might be losing money on fees. Americans pay more than $600 billion in investing fees every year. Individually, we will lose about one-third of our retirement savings to fees. FeeX can help you find and avoid fees on your investments. We at LMM advocate set it and forget it investing because you have more interesting things to do than babysit your money. But there are certain times where you need to take a look at your investments and tweak them to fit new circumstances. If you have a baby, you need to start estate planning. If something happened to you and the other parent, your child could be a ward of the state. If you get a big bump in income, don’t upgrade your lifestyle, improve your investing. Especially if that increase is going to bump you into a higher tax bracket. As you near retirement, you don’t have enough time to ride out the ups and downs of the market. Re-balance your portfolio, so you’re less heavily weighted in riskier investments. You will also need to decide when to start accessing your Social Security benefits. Do you have a four bedroom house but all of your kids are gone, and you don’t need all that room anymore? Are you unhappy with your job but can’t find something else in your area? Are you retired but the cost of living where you are is burning through your savings? You don’t have to stay put. You may have good reasons for doing so, your home is paid off, and the property taxes are low, your kids are in a good school district, you live near family and don’t want to move. But if you don’t like where you are, it’s a great big world out there. There are two types of people who like LMM; those who need help with money and those who are good with money already. This is for the second group. My grandmother was one of you. Sadly, I didn’t inherit that gene. She worked hard, saved hard, lived all her life modestly. She was a kid during the Depression which is when I think a lot of her attitudes toward money were formed. She was so afraid to be without money that she was scared to spend it. Not of her family, she was always really generous, but to herself. She dearly wanted to visit Alaska, and she could well afford to. But she was too afraid to spend the money. And now it’s too late. She died seven years ago, and she never went on that trip. And all the money she worked her whole life for went to her next of kin who promptly blew it on stuff rednecks buy when they come into free money. Don’t let that happen to you. Live and enjoy your life. There is a happy medium between the two types. So you try to be a little more like us, and we’re going to try to be a lot more like you. Some of these are big, and some are obvious, not paying yourself first or not having a plan to tackle debt, for instance. But some of them are really surprising to me, how much we lose in investing fees and how much more lucrative it is to job hop. Which goes to show, even if you think you aren’t making any mistakes, you might be wrong.